Cara Burrows, married with two teenage children and living in Hertford, England has flown out to Arizona, USA and has booked into a high class resort. Cara is pregnant and neither her husband Patrick nor Jess her daughter or Olly her son are keen that she keeps the baby. She is hoping that sometime away will make her situation clearer. Arriving at the five star Swallowtail resort and spa in the foothills of the Camelback Mountains, Cara is exhausted from the journey. After checking in she uses her key to access the room and finds a man and a teenage girl occupying it. Traumatised at the man's aggressive attitude, she goes back to reception, where an apologetic receptionist upgrades her to a casita complete with infinity pool. The following morning she overhears a guest – a Mrs McNair telling the receptionist about sighting a missing girl – Melody. She disappeared seven years ago and her parents are serving a prison sentence for killing her. Accessing the internet Cara learns that Melody had a favourite cuddly toy named Poggy (a cross between a pig and a dog) and she realises that the young girl in the hotel bedroom had a similar toy. From a photograph and allowing for the time difference Cara is convinced this is the missing girl. Aided by two American guests at the resort Tarin Fry and her daughter Zellie they investigate. They find that a lawyer who has a TV show – Bonnie Juno made the accusations about the parents. How dangerous are the people who have Melody? And is the girl the real Melody? What about Cara's thinking time about the impending arrival? This is an unusual book by an experienced author. I found it entertaining if at times a bit confusing. However I would recommend as a good read. The seven-year-old girl sat in the corner. She pulled at her mama’s skirt and put it over her mouth. She imagined that she was at home in her bed, or rocking in a cradle when the ship rolled in the waves. 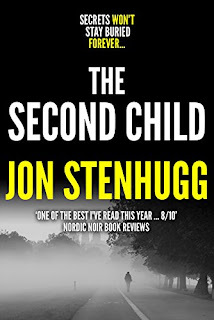 When Detective Chief Inspector Levin and Detective Mia Bolander arrive at the house in Östanvägen, an ambulance is in the drive and forensics are already working the scene. In the living room lies the body of a man, Hans Juhlén, head of asylum issues at the Migration Board. His wife found him when she returned from her walk. He had been shot. There are no signs of a struggle but Mrs Juhlén says that a window had been open and she had closed it. Whilst Levin continues to ask the weeping woman questions, the forensics officer dusts the window sill for prints and finds two – the hand prints of a child. Prosecutor Jana Berzelius promptly leaves the courtroom after the trial verdict. As usual she ignores the waiting journalists and makes her way to the garage. Her cell phone vibrates and she answers her father’s call. He asks how the case went and if she will be coming to the family dinner on the first of May. She accepts the invitation; neutral respect is always the tone of Jana’s and her parents’ conversations. However the next call is not from her mother as she expects but from the Chief Public Prosecutor. An important Migration Board official has been murdered and he wants Jana to assist with the investigation. She drives straight to police headquarters and finds the investigating team already gathered in the conference room. It is clear that detective Mia Bolander is not pleased to see that Jana Berzelius is in charge. Mia dislikes and distrusts her, views her as stiff, upper-class, arrogant and with no idea of how to let her hair down. But Mia seems to be alone in her hostility as the team gets down to work and discusses the time line and crime scene: Mrs Juhlén is a person of interest, a pack of threatening blackmail letters was found in the victim’s wardrobe, the murder weapon hasn’t been found, nor are there any children or grandchildren in the family to explain the child’s prints on the window sill. 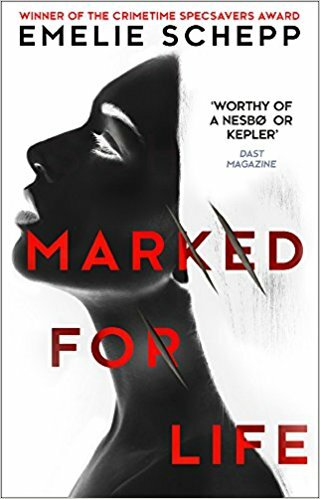 The strength of Emelie Schepp’s dark crime story about people trafficking is its strong plot centred on prosecutor Jana Berzelius, a clever, elegant and successful woman but a woman with a secret, hidden from even herself until the body of a murdered boy is found. A scarred name marks the back of the child’s neck. Jana too has scars on the back of her neck. 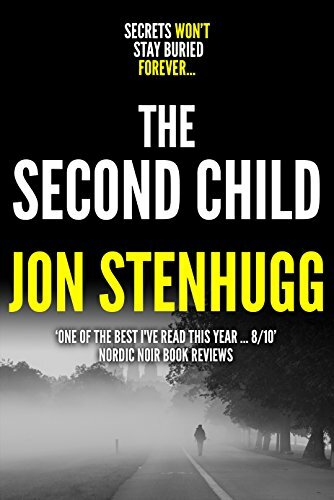 Soon her ever-present nightmares begin to change, becoming flashbacks which set her in pursuit of the boy’s killer in tandem with the police investigation – but for reasons of her own. The story of MARKED FOR LIFE is strong and striking and begs to be filmed. Perhaps that’s what its author might have hoped for – for I found the actual writing flawed. Odd turns of phrase and grammar sat badly with me, sometimes even getting in the way of the action. No translator is credited with this English language version. 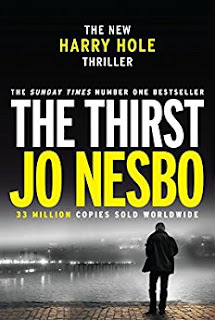 The characterisation is also thin, with the exception of Jana herself and her distorted mirror image, the unlikeable police detective Mia Bolander who looms large. I ended up feeling as though I was viewing a dark and fascinating story through an equally dark glass. Emelie Schepp’s début novel, MARKED FOR LIFE started out as self-published. It would have been good if a sympathetic editor had taken it under their wing. 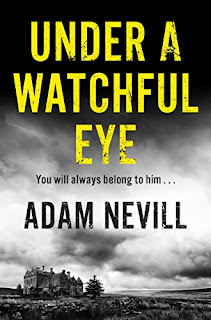 However it has attracted favourable community reviews and Swedish 2016 Specsavers Crime Time Reader’s Prize. For fans, the good news is that Emelie Schepp has written a further two novels in her Jana Berzelius series which are due to be published over the next two years. I remain some kind of grouch in saying that, for me, this novel was an uneven read except for its original and absorbing plot. This is the eighth book in Carter's excellent series featuring LAPD detectives Hunter and Garcia and it is simply fantastic: riddled with tension, plot twists and nastiness, the story is gruesome enough to give you nightmares and addictive enough to keep you up late as you simply must know who did it. Carter takes you on an emotional roller-coaster ride and leaves you exhausted at the end. The story is chilling enough to give Hollywood blockbusters, like Saw, serious competition. It starts with the brutal demise of a decent, sweet, young woman and goes downhill from there. 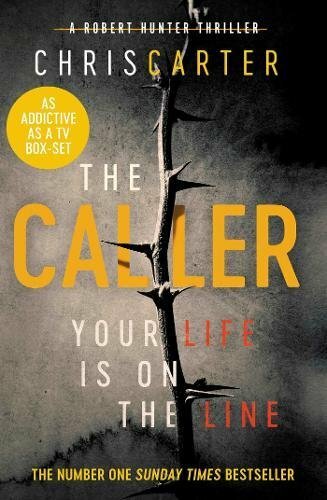 The killer adds a unique twist to his approach as he video calls the close friend or partner of his victim and, after asking questions that give the recipient of the call a fleeting feeling they might be able to save a life, graphically kills their loved one in front of them. Hunter is completely stuck. He has no real leads, as the killer is extremely good at covering his tracks, and spends many sleepless nights going over things. The killer is also patient and meticulous. Starting with notes made of letters cut from newspapers, he stalks his victims for months, terrifying them, until making his move. One thing is for sure - the killer doesn't waste time and the discovery of a second victim a few nights later takes things up a level. Hunter needs results, especially when the husband of the second victim decides to start an investigation of his own. Hunter has a sharp mind and a keen eye for detail. You really hope he can get to the bottom of this one but, at the same time, really can't see how he can. With his boss anxious for results and the killer upping his game, the pressure is on for Hunter to deliver. Chris Carter is Brazilian born and writes about cases in America. He qualifies for Euro Crime as he currently lives in London. In his past life he worked in Michigan as part of the District Attorney's Criminal Psychology team. There is no doubt that his experience adds an edge to his work and brings his killers shockingly to life. His opening chapters in this latest novel are first rate and leave you in no doubt that this is going to be an excellent book! Just a quick note to apologise for the lack of updates this month. I've not had any broadband access for nearly a month. It's finally been resolved, which involved 3 visits from BT. As well as no internet, our local setup meant I couldn't access my files or email, so it's been really frustrating! I'll be opening up the Petrona Award in September so expect the eligibles list soon. Many thanks for sticking with Euro Crime. Death in Paradise is a successful BBC series in which a British police detective inspector has been sent to run the small police department on the Caribbean island of St Marie. Each week there is another baffling murder case to solve and each episode concludes with all the suspects gathered together in true Poirot-style fashion. 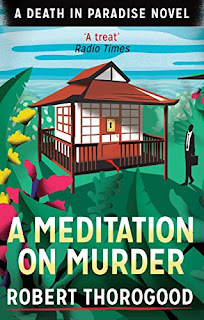 I'm a huge fan of this cosy series which will return to the television with a third iteration of the British Inspector, however A MEDITATION ON MURDER returns to the original DI, Richard Poole. Richard is as strait-laced as they come and wears a suit and tie in the oppressive heat and does not enjoy island life at all and especially sharing his beach-side cabin with a lizard, called Harry. 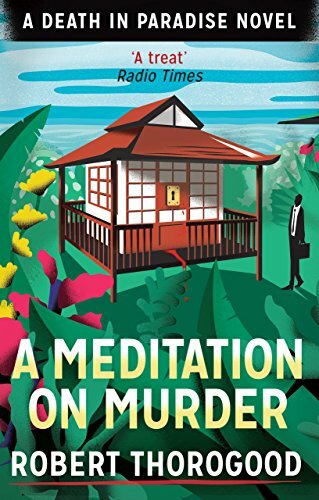 Richard and his team of Camille, Fidel and Dwayne are summoned to The Retreat as the co-owner, the self-styled Spiritual Guru Aslan, has been found dead in the Meditation Space, a Japanese building with thick paper walls. Five of Aslan's students were locked in the building with him and one, Julia, immediately confesses to Aslan's murder. Richard is unconvinced that Julia is the guilty party and so the team continue to investigate Aslan and the five guests. Information is slowly uncovered about Aslan and some surprising connections to his guests mean that everyone had a motive to kill him. As with the tv series, there is lots of recapping – going over “what do we know so far” but we do get to know a little more about Richard and he has a couple of escapades which wouldn't make it to the tv screen in the time limit of a one hour show. I enjoyed this outing and will read the other two books currently available (with a fourth due in May December 2018). I should say that the author, Robert Thorogood, is the creator of the show, so who better to write these unseen episodes. If you enjoy traditional mysteries and haven't seen the show or if you are a fan of the show then give this one a try. Here's a snapshot of what I think is published for the first time in August 2017 (and is usually a UK date but occasionally will be a US or Australian date). August and future months (and years) can be found on the Future Releases page. If I've missed anything do please leave a comment. 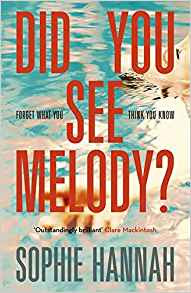 • Hannah, Sophie - Did You See Melody? The Crime Writers’ Association announced the shortlists for this year’s Dagger awards for crime writing at an at an evening drinks reception held at Waterstones Piccadilly on Wednesday 26 July. The CWA Daggers, which are the probably the awards crime authors and publishers alike most wish to win, are awarded every year in 10 categories. The Diamond Dagger in 2017 has already been announced as best-selling author Ann Cleeves, for a career’s outstanding contribution to crime fiction, and the Dagger in the Library winner has been announced as the very popular author Mari Hannah. The shortlists are proudly sponsored by are kindly sponsored by Hazchem Network Ltd, the UK’s only palletised distribution network for Dangerous Goods, and by CrimeFest, the international crime writing convention, which will be held 17-20 May in Bristol in 2018.